Dental Anxiety - My Plantation Dentist - Heidi Finkelstein D.M.D. Statistically, between 9% to 15% of Americans will avoid seeing a dentist for reasons no other than anxiety or fear. Not only is it very common, but people who suffer from this will do just about anything to steer clear of the dentist office. At Plantation Dentist, we use modern practices and a comfortable environment to help our patients feel as comfortable as possible. Dr. Finkelstein has worked with many patients in the past who have overcome their fear and anxiety through trust and great service. The leading cause of people not seeing a dentist at least once a year is anxiety and fear. Although most dental treatments and procedures cause little to no pain, just the thought of sitting on a dentist chair can be terrifying to some people, and it is more common than most would think. At Plantation Dentist, we specialize in providing you with the comfort and service that you need to help you feel right at home and stress-free. We understand that dental anxiety doesn't only come from fear of pain, but from a variety of factors which are not easy to deal with. Fighting against dental anxiety starts from the moment you book your appointment, and giving you a pleasant experience from the start. Dr. Heidi Finkelstein is highly experienced in treating patients of all ages and conditions. 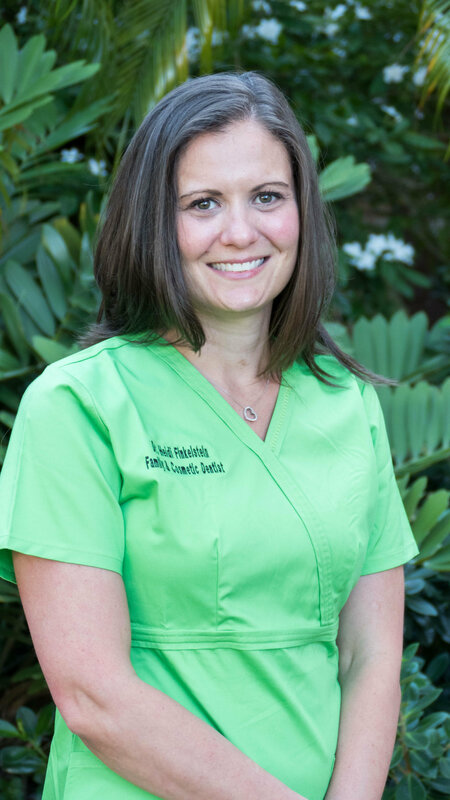 She is known among her patients for her family-oriented practice and home-like environment. Her practice is equipped with Bose noise-canceling headsets, pillows and blankets, shaded glasses, and a friendly and welcoming staff. What can I do prior to my appointment to feel more comfortable? A big part of dental anxiety comes from the uncertainty of what is going to happen at the appointment. We recommend talking to the person scheduling your appointment over the phone and have them explain what the general procedure will be. A good night sleep also helps to make sure you are well rested and less stressed. Talking to Dr. Finkelstein before your appointment is also important, she is very experienced in dealing with all kinds of patients and can set a more comfortable mood as soon as you arrive. You should definitely eat before your appointment, although not immediately to avoid discomfort. You should avoid, if possible, highly caffeinated foods or drinks, as they may make you jittery during your visit. Do not skip meals before your visit, it may cause dizziness and light-headedness and can make you impatient during your consultation. I haven't been to the dentist in a while, what should I bring? Normally, nothing. Your first appointment will be an assessment of your current oral health and any further procedures will be suggested after. However, if you have any previous dental records, it is important to bring them along with you so we can have abetter understanding of your dental history.